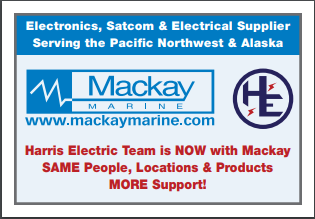 Harris Electric’s Team is Now with Mackay Marine: Same People ● Same Products ● Same Locations - Mackay Communications, Inc.
Mackay Marine sells, installs and services electronic & electrical equipment on-board commercial vessels, and provides satellite airtime solutions. Mackay’s North American operations include 25 Salespeople, 100 Field Technicians and Electricians, 6 Project Supervisors, and 70 staff members deployed across 23 locations. Founded in 1886, Mackay’s global headquarters is in North Carolina. Mackay has been the largest Comm & Nav electronics firm serving Canadian fisheries; now with the assimilation of Harris Electric’s team, is the largest in North America. Mackay’s team of 35, service the Pacific Northwest Fishing industry with facilities in Dutch Harbor, Ballard, Tacoma, and Portland. 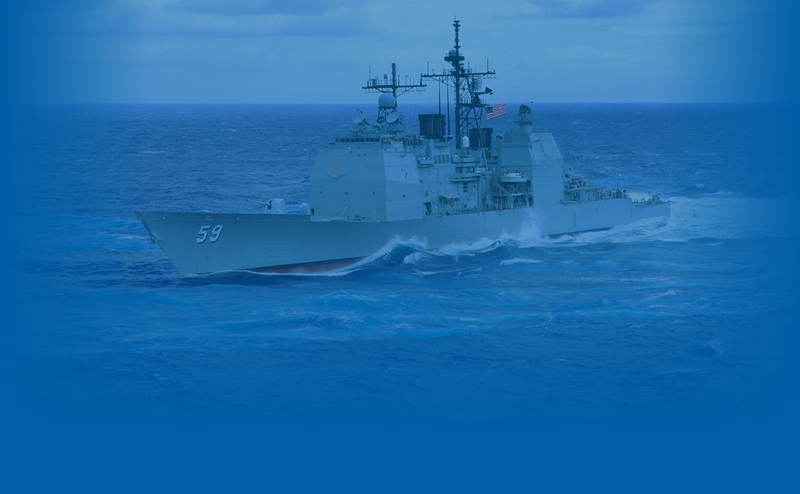 Favorite brands represented include Simrad, Furuno, Garmin, ICOM, JRC, Olex, Marport, MAQ Sonars, Koden, Ocean Signal, SAILOR, Inmarsat, KVH, Allen Bradley, Square D, and more. Mackay stocks a multi-million dollar inventory of equipment, accessories, spare parts, and electrical items for immediate delivery. Our strong buying power enables us to provide customers best-in-class pricing from major suppliers. We’ve structured our organization, locations, brands, pricing, and training around delivering Quality, Value, Convenience, and Dependability to our customers, anytime, anywhere. Our goal is simple: to keep your vessel earning money! At PME 2018, Mackay’s spacious booth 1542 features dozens of products from major brands, live demonstrations and technical experts for all equipment on display. Recently named Olex’s primary North American distributor, visit our dedicated Olex display, complete with impressive Seafloor Mapping visuals. Mackay and the former Harris team are dedicated to providing technologies to making your fishing more productive, efficient, safe, connected . . . and profitable! Mackay’s Pacific Northwest locations now include Dutch Harbor and Naknek (seasonal) Alaska, Ballard (Seattle) and Tacoma, Washington, and Portland, Oregon. For more details, see Mackay Marine Sales & Service Locations.